Retirement planning is the process of determining retirement income goals and the actions and decisions necessary to achieve those goals. Retirement planning includes identifying credible sources of income, estimating expenses, implementing a savings program and managing assets. Future cash flows are estimated to determine if the retirement income goal will be achieved. It is important to carefully determine where your retirement savings is utilize for a lasting wealth that is bequeathed to your posterity. One wrong move will lead to a catastrophic fall and breakdown that may be irreversible. 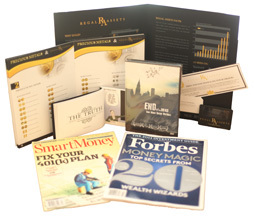 it is in the light of this that Regal Assets was birth to carefully positioned investors and retirees to a lasting wealth with great peace of mind notwithstanding the turbulence of harsh economic financial and market policies coupled with the unhinged inflationary trends. Since its inception, Regal Assets has handled hundreds of millions in alternative asset purchases for private wealth and institutional clients all over the US. Regal Assets was ranked No. 20 in the United States for financial services landing the company on the Inc. Magazine 500 List, an exclusive ranking of the nation’s fastest-growing private companies. As an industry leader, Regal Assets has attracted the support and business of prominent figures and celebrities including Dennis Miller, Laura Ingraham and Lars Larson. Regal Assets’ CEO Tyler Gallagher have been featured in Forbes, Smart Money, Market Watch, Reuters, The Street and Hollywood Reporter. 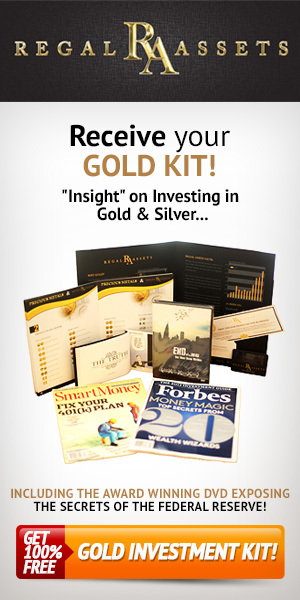 Mr. Gallagher, CEO of the company, has also been the gold expert on “The News with Ed Shultz” which can be seen on the television network RT. Regal Assets was founded in 2009 as a precious metals company, and after years of successfully helping customers include precious metals like gold and silver in their retirement accounts, the company has added Bitcoin and Ethereum as a separate offering in late 2017. After seeing an increasing demand from its clients for cryptocurrencies, the company has introduced more altcoins like Bitcoin Cash, Stellar, Ethereum Classic and others to its product list. As part of its mission to bring investors the best alternative assets for their retirement account, they have partnered up with various leading companies and custodians in the alternative investment space to create a truly unique retirement account that is designed to not only help investor diversify and protect their portfolio, but potentially help you generate great profits over the coming years as digital currencies flourish and become mainstream. The Regal IRA™ is a new type of retirement account that currently includes IRS-approved alternative assets such as precious metals (gold, silver, platinum, palladium) and digital currencies (bitcoin, ethereum, litecoin, ripple, dash, stellar, and others). The Regal IRA is the world’s first Alternative Assets IRA that currently allows you to invest in both hard assets (precious metals) and digital assets (crypto currencies). The Regal IRA is a cutting-edge and future-driven investment vehicle that you won’t find anywhere else. Crypto currencies as the new modern cousins of precious metals, so it only made sense to offer them to our customers as part of one unified IRA,” said Tyler Gallagher, CEO of Regal Assets. Today, Regal Assets combined both physical and hard assets into one retirement vehicle dubbed the Regal IRA. “The Regal IRA is a future-driven and forward-thinking product. Its mission is to provide both protection and growth in times of economic turmoil and uncertainty. It is designed for individuals that do not want all their eggs in the stock & bond basket and provides true diversification. Also, it is important to note that we plan on adding more alternative assets to the Regal IRA™ in the future. Today, we are offering metals and cryptos, to the marketplace for diversification. A Regal IRAcan reduce the volatility of your overall retirement/investment portfolio while exposing you to digital currencies, a new and promising asset class that is still in its infancy stage, which makes it the best time to get in. Including gold investing within an existing retirement account could improve investment performance by either increasing returns without increasing risk, or by reducing risk without adversely affecting returns. From the traders of antiquity to today’s most savvy investors, accumulating gold stands the test of time. Gold is accumulated for a myriad of reasons, including to hedge volatile stock markets, to offset fluctuating commodities prices, and as a safe haven against falling home prices. 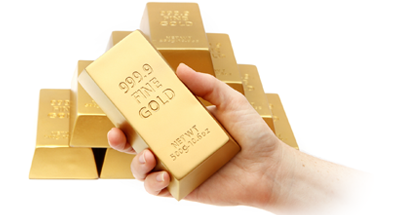 To capitalize on consistent growth in value, gold stock has always proven the safest investment. Like many billionaires, banks and governments, we still believe that precious metals are a must-have when it comes to wealth protection and diversification, as it is the only asset that doesn’t correlate with the dollar and has consistently performed well in times of crisis. Cryptocurrencies like Bitcoin and Ethereum are viewed by many experts as the new digital versions of gold 101 and silver. Why? Just like physical precious metals, cryptocurrencies don’t correlate with the dollar and stock market, which can provide protective effects in case of an economic downturn. They are totally decentralized and controlled by supply and demand. Also, Bitcoin and Ethereum are “mined” by powerful computers. Bitcoin’s supply is limited just like Gold, which nullifies inflation. Ethereum, just like silver, has multiple industrial uses aside from being a currency. It is a smart contracts platform and its technology is currently being used by banks and governments worldwide. Request their investment kit to learn more about cryptocurrencies and their benefits. What Assets Can Be Held in a Retirement Plan? The United States government currently allows certain metals and cryptos to be held in a retirement account. Investing in gold bullion and Cryptos through an IRA has to be done in accordance with IRS rules and regulations, which is why it is important to work with a company that has a good track record working with these types of accounts. A Regal IRA™ is essentially a self-directed IRA used to invest in physical Metals and Cryptos. You can open a Regal IRA™ directly or you can rollover or transfer funds from a previous retirement account (e.g. fidelity 401k, SEP, TSP, 403b, etc…) into a new Regal IRA account.